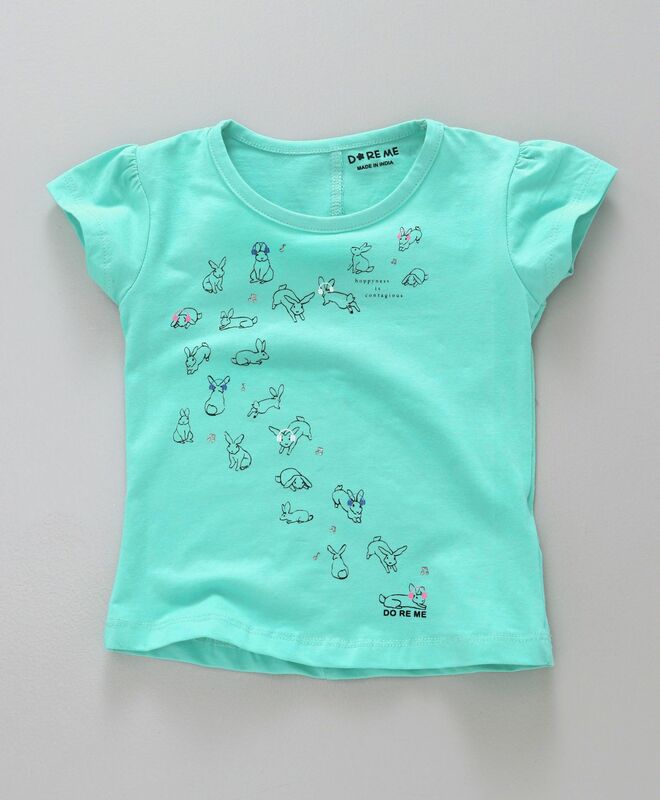 It's time to update your little one's wardrobe with this stylish short sleeves tee from Doreme. Attractive 'Bunny' print on solid colour base. Round neck adds elegance of style to it. Crafted from soft fabric, which would keep your little one comfortable all day long.